I love that they had a rainbow assortment of colored denim. Everything was on trend but not overly trendy. It showcased the backbones of a classic wardrobe with updated colors/prints and a bit of whimsy. I have seen monogrammed back pockets for a while now and have yet to do this... 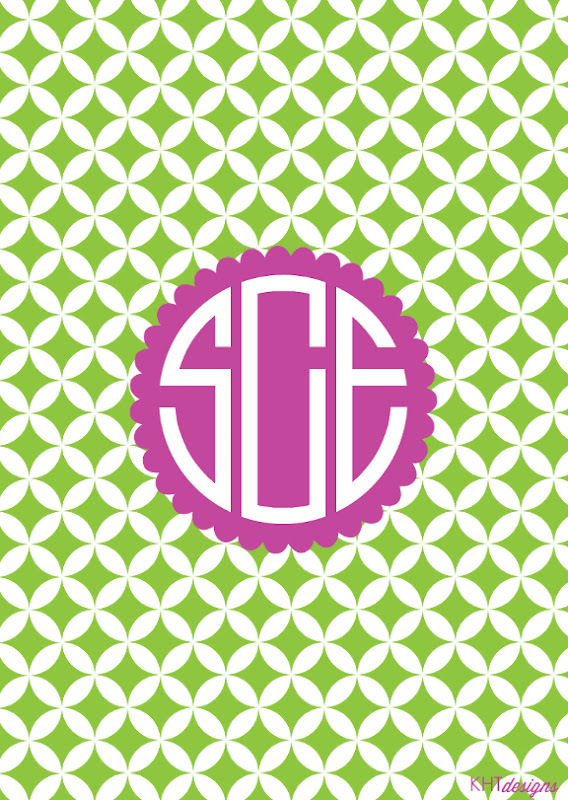 I guess a trip to the monogrammer is in order! I love that they had in-store monorgamming options available and a whole host of things that you could add a monogram! 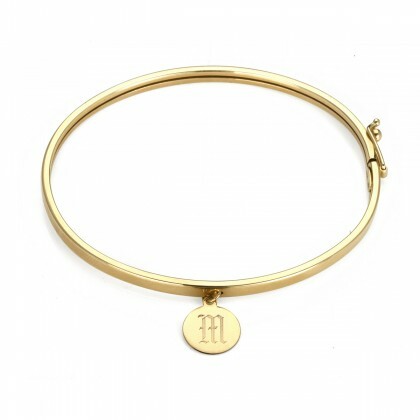 They had the cutest enamel bangles with initials. I would have made one mine, but the "S" only came in orange and I already have an orange bangle. Darn! Their housewares selection is simply divine and the prices are inexpensive for the nice quality. I loved the blue and white pots at the bottom of the above picture. This is the perfect place to stop if you are looking for a nice hostess gift. Have you shopped C. Wonder? What did you think? Have a fabulous day! This is very simple... it would be the perfect "wear everyday" piece. Gentlemen out there, take note for your lady! 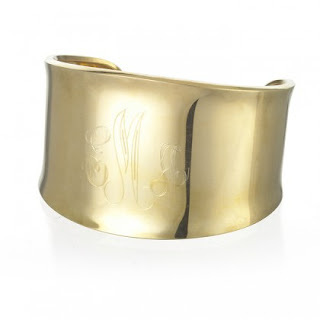 Also perfect for someone who doesn't want their monogram plastered everywhere (I can't say I fit into that category ;). Charm and Chain also has some really great costume jewelry along with designer and fine jewelry. There is so much sparkle throughout the entire website! Number Rings. Very pricey but genius! 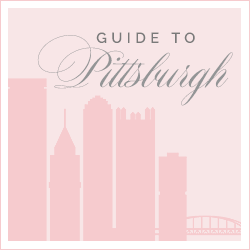 I am going to keep my eye out for a less pricey option because I love the idea of getting a 4,1,2 to represent Pittsburgh! It is a great conversation starter and could make for a really meaningful gift. (They also come as pendants). I've posted about Bounkit before, and these live up to the Bounkit standard. They are truly eye catching! Have you shopped Charm and Chain? What is your favorite piece? Have a fabulous day! **please note that this is not a sponsored post. I truly cannot believe how quickly time flies... next week is the 4th of July! How will you be celebrating? I am planning on visiting my "big" (big sister in my sorority) in Annapolis! I am so excited because I have not seen her in a year which is entirely too long to be apart. I am big on dressing for the occasion. Meaning, you can usually find me decked out in red, white and blue. This year I happened to pop into Old Navy and find a great dress in the kid's section (you know how I love shopping in the children's sections). 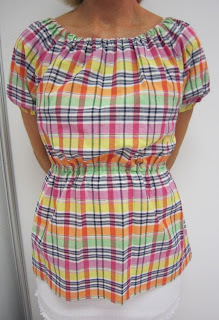 This dress isn't really great quality but is fun enough for a one time wear. The price was under $20 which made it an absolute steal. I am usually a 2/4 in dresses and the largest size (16) fit perfectly. It is a little bit obnoxious/ridiculous but I think that's what I love about it. I plan on adding some red accessories to complete the American look. This is my back up dress... It is the J. 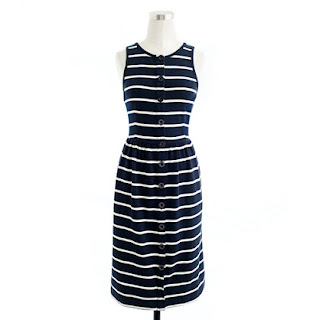 Crew Stripe Button Front Dress. It's simple and comfortable (and a little more grown up ha!). 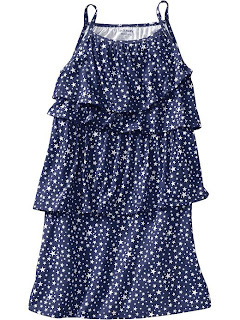 What are you wearing for the fourth or are you a last minute kind of gal? Have a fabulous day! This cute, pink terry cloth, monogram train case is my travel BFF. My aunt sent cCm and I these for Christmas one year and they are very well loved. I literally take it on any and every over-night trip. Most think it is a make-up case, but cCm and I use it as a dopp kit. Strangely enough, whenever I speak of my "dopp kit", no one, except for my family seems to understand what I'm saying. In fact, I didn't even know why it was called a dopp kit. These are all my "extras" in case I run out of my main products (click the picture for a larger view to see what each product is.. the bottle on the far right with the black top is actually nail polish remover). The little travel sewing kits have been so handy! Some L'Occitane essentials and some other random products... I usually don't like any of the products they give to you at the hotel/motel/resort/cruise/lodge/etc. ...I have to use certain conditioners in my hair because of how thick it is, so I am always prepared and backed up with even more (did I mention that I am a total Type A?!). I keep this thing packed and ready to go at all times, and make sure to restock after each trip. This makes it super quick to pack and unpack because I know I have any toiletry item I could possibly need (gotta love saving time). What do you travel with? Am I missing out on something great for travel? Fill me in! Have a fabulous day! I received my Lilly Pulitzer date book in the mail last week, courtesy of Lifeguard Press (on national wear your Lilly day... how fitting!). It even makes planning dull things like dentist appointments a lot more fun! After my nightmare of a customer service experience with Gallery Leather, it was about time I switched to a new planner, and this type A personality has totally joined the club... club Lilly, that is. The stickers are a cute added touch. I love the shift stickers and the pumpkin is my absolute favorite! My favorite month is definitely October because I love the cute pink and orange pumpkins and the fun saying, "Pick Me! I'm the prettiest in the patch!" It doesn't hurt that October is one of my favorite months too (football season, cool days, pumpkin spice lattes, colorful leaves... what's not to love?!). I know many of you posted on Instagram/Facebook that you received your Lilly planner... what is your favorite month? Have a fabulous day! **You are still able to use the coupon code Summer25 at checkout on all Needham Lane Totes! I've been meaning to share some photos of my recent trip with my family to Connecticut and the Hamptons. It was a nice little getaway! Mother, cCm and I on the beach in Connecticut! Mother, my Uncle Marc and me at my uncle's country club! It was right on the water and on Sunday night it had a great motown/oldies band outside! The gorgeous area where we enjoyed G&T's and dancing! Catching some wind on the ferry to Long Island... it was pretty chilly the entire time we were there, so my Shep Shirt came in handy! One day we went to 'the end' aka Montauk and it was gorgeous! The waves were absolutely huge and I wanted to go into the water so badly but it was just too cold! One night we took an evening stroll on East Hampton's Main Beach.. again, the waves were huge (I LOVE big waves). All in all it was so much fun and it great to be with good family and friends! Have a fabulous day! 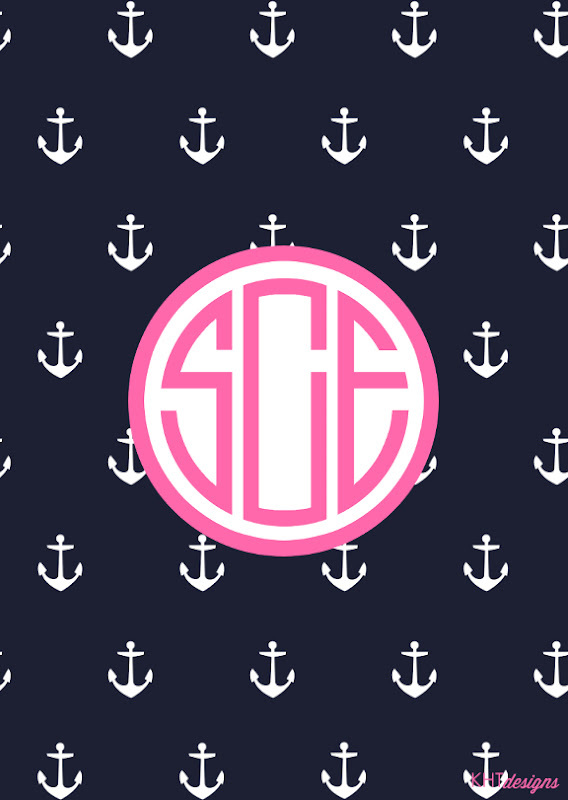 She attached these adorable iPhone wallpapers and also desktop versions with my monogram! These are so cute and so me. I thought to myself after reading the e-mail... she is super talented, she should open up shop! 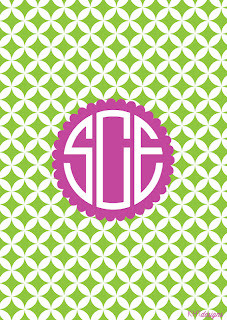 Sure enough, Karina just opened up her Etsy shop, The Monogram Scene: KHT Designs, yesterday and offers custom digital monograms in all different prints and colors. Too much fun! 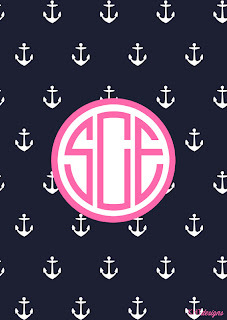 Are you a monogram junkie like yours truly?! I know many of you are! Have a fabulous day! 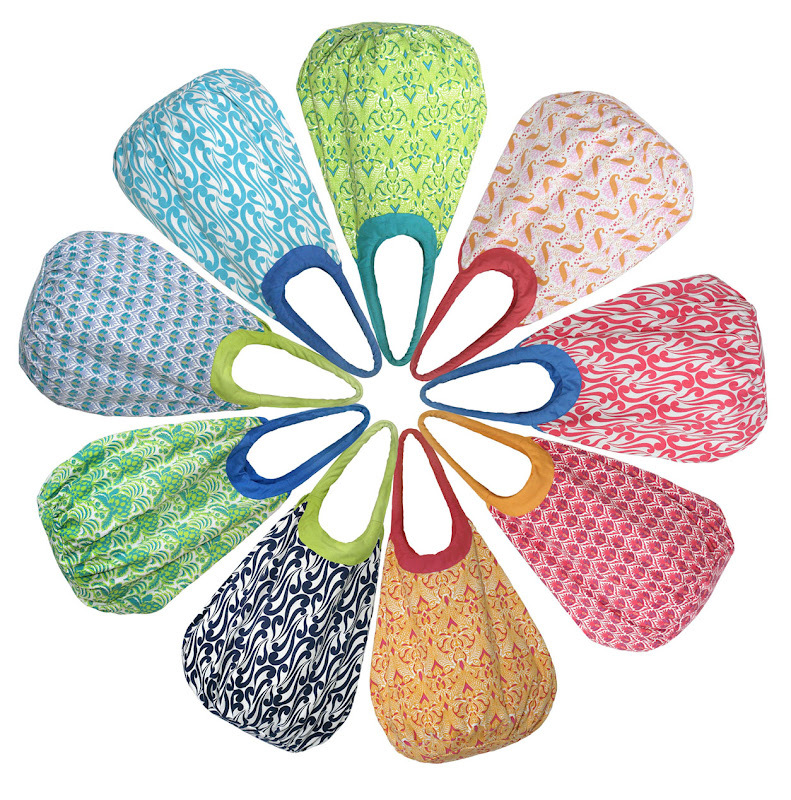 **Don't forget, 25% off Needham Lane totes using code Summer25! 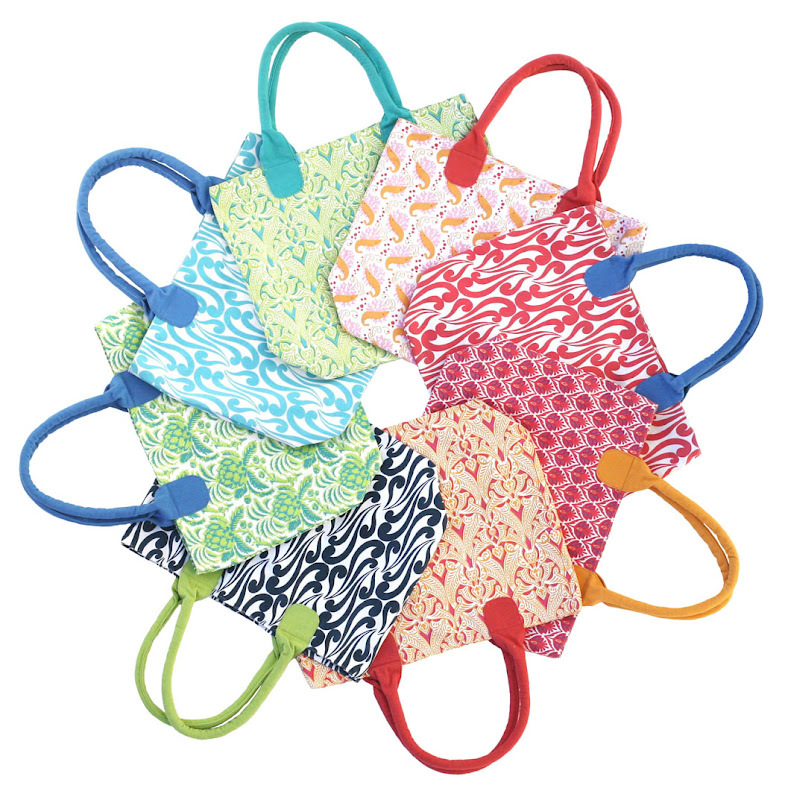 I announced on Twitter/Facebook/Tumblr the other day that one of my favorite companies, Needham Lane (posted about previously, here), is offering Summer Wind readers 25% off (code: Summer25) of the gorgeous printed totes !!! They are super cute with lots of unique, colorful prints. Plus, I love that there are two different styles and sizes to choose from. Above I am carrying the Dorset Blue Weekender Tote... It is HUGE! It fits so much and still with room for more. 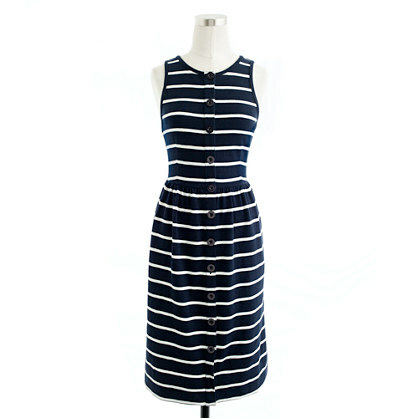 Definitely large enough for travel or just for a day at the beach... either way it is perfect for the summer! Another thing that I love is that there are two pockets... I always lose things in my giant bags but the pockets in this bag help to keep things organized. Above is a close-up of the Shrimp Shopper Tote.. this print is gorgeous! If you click on the picture and look closely, there are shrimps, bubbles and coral...too fun! The Shopper tote is a lot smaller than the weekender, however, it is still plenty large enough to fit sunscreen, a towel, magazine/book, sunglasses, etc. I think either bag would look adorable with a big monogram embroidered on the front! The contents of the Shrimp Shopper Tote. An old issue of T&C, The Recessionistas (current read--great! ), Ray-Bans and sunscreen. The 25% off code: Summer25 is good through July 15. Happy shopping! Have a fabulous day! 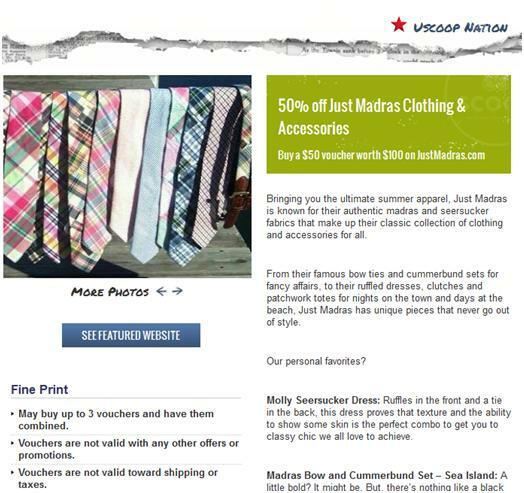 First things first, ladies and gentlemen... UScoop is offering $50 for $100 to Just Madras. I mean, hello?! GREAT deal! 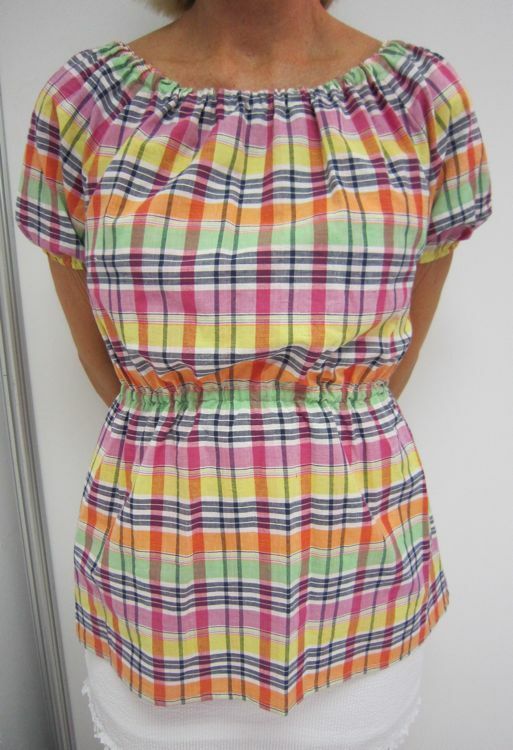 Plus, you know how I love Just Madras!!! The Brooklyn top has been on my radar for some time now... 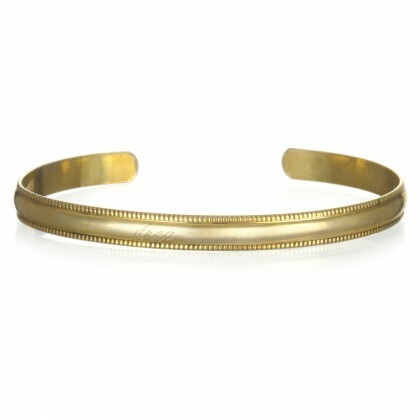 SO great with white denim and would even look cute with a navy blazer or cardigan come fall. Next up... Mud Pie... Ok sounds like those gross "pies" you used to make as a kid, but it's actually a brand that I have never heard of until I was browsing the web. I came across the most adorable pink and green cosmetic case! 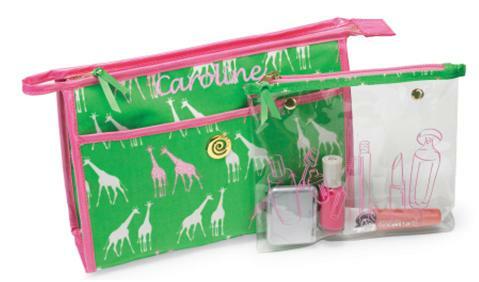 Pink, green, personalized... what more could you want?! Like I've said, I've never shopped Mud Pie before, so I have no idea about the quality or customer service, however, the prices are inexpensive so I am guessing not to expect the best quality but all of the photos look nice online! 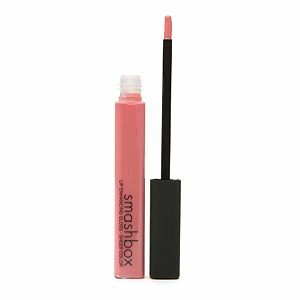 Lastly, Smashbox lipgloss is hands-down my new favorite lip gloss. Sheer color in Pop is my favorite and is just the absolute perfect consistency-- not too watery so it stays on your lips for a while with a nice shine, but not too thick and hard to apply... the brush applicator is a bit frustrating at times, but now that I am used to it, I love it! I got mine at Sephora and got free samples with my purchase! What are you loving on this SUPER hot Tuesday?! Have a fabulous day! No worries if you didn't win, because there is lots more fun scheduled in the coming weeks! So I have been toying with different layouts, playing with colors and just getting rid of all of my unnecessary stuff. Needless to say, it is a job in itself. But I am so happy that I finally found the perfect bedding! I found it at Pottery Barn Kids (OK, not very adult, but I swear it's perfect). I originally wanted a navy blue/white color combo, however, a navy blue/white bedding is apparently super hard to come by. So I went with the second best combo, pink and green. I'm very particular about sheets so taking into account my sheet preferences I was a bit limited in selection. This is the bedding that I went with. It's simple and girly but without looking too childish (all pictures from this post are from Google images...I'll post my pics when everything is all set up and looking good). Isn't it great?! It looks a lot paler in real life-- it's almost a neutral pink and the plaid is a lot less prominent. I didn't like the shams because I thought it was a little too matchy-matchy for my taste so I went with yellow gingham sheets and pillows. 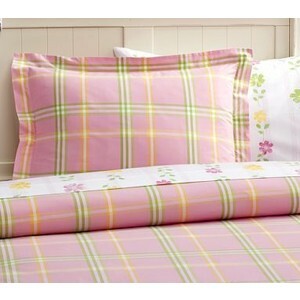 I am obsessed with the gingham sheets and love how they brighten up the entire bedding. Plus, I totally forgot and didn't realize that I already had my green down comforter from school which matches perfectly with the green in the plaid. Now that my my bed is all taken care of, all I need to do is add the finishing touches! Do you have any decorating tips to share? Have a fabulous day! Haberdashery. You know it's got to be good when there's "haberdashery" right in the title! Perfect timing for a last minute Father's Day gift as well (that's this Sunday for all of you who haven't checked the calendar!). I love that they have several of their own products. I think this would be a great gift for a father, and I would love it for myself as a beach hat! 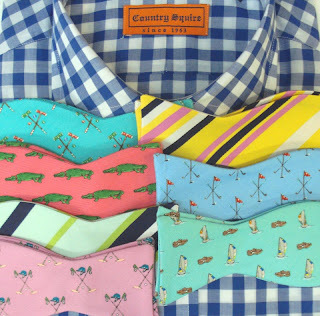 Country Squire offers a lot of Vineyard Vines! They. Have. Watch straps. If you own a watch with changeable bands, then you know how hard it is to find straps. I have every single strap from Brooks Brothers and then Eliza B. and Peter Blair (in Richmond) are the only other two places that I have found that have cute and unique straps! Each strap at Country Squire Haberdashery is only $15 (I have my eye on the two above)! Gentlemen, take note. These are necessary in my eyes. 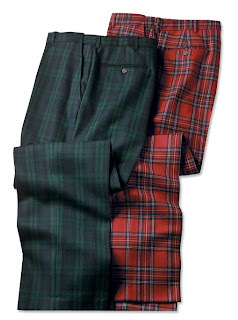 My dad owns several pairs of tartan pants and gets compliments wherever he goes. They are perfect for the holidays and are the life of the party! Lilly Pulitzer Belts. To me, these are unisex. Any well dressed prep should have a collection of silk belts... J. Crew used to make these but sadly, I have no seen any for years. 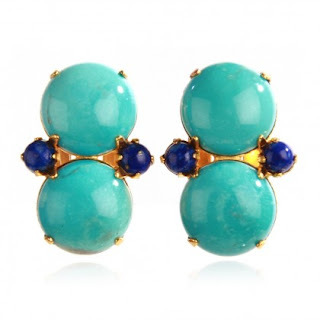 I am so happy to see these on the Country Squire site! 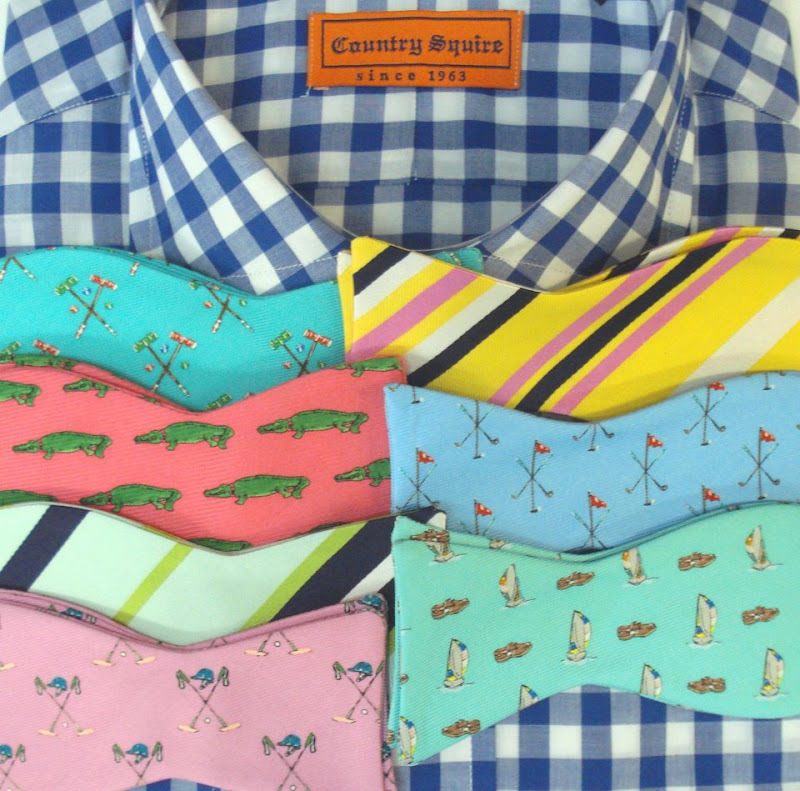 Not only are all of the above perfect for your Daddy... but they also carry Peter Millar, J. McLaughlin, Vineyard Vines, Smathers and Branson, Castaway Clothing and Lilly Pulitzer. 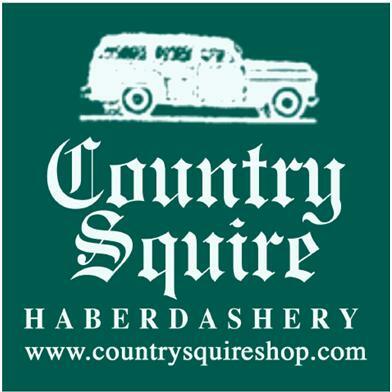 What do you think of Country Squire Haberdashery? What are you getting your father for Father's Day? I got my dad a gingham Vineyard Vines swim suit (I gave it to him early-- I couldn't wait any longer!!). 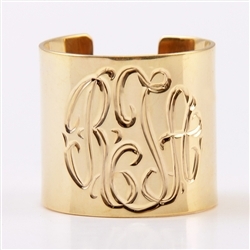 It's the monogram gold plate cuff ring. I think this is such a fun update on the classic signet ring! I added this to my virtual, never ending, always growing, "want" list! Have you seen a ring like this? While at cCm's graduation party, bVc mentioned that she knew how to waterfall braid. I didn't hesitate to ask her to try it out on my hair! I've seen the waterfall braid gain popularity on Tumblr and Pinterest so I was very interested in what it would look like on a "real person".bVc did it so quickly and just did it on one side. I loved it so much that when I went out that night, I kept the braid in! This woman from Cute Girl Hairstyles explains how to do it best. It's probably easiest to pick up if you learn how to french braid first. The woman also says to secure with a ponytail holder, however, we used a clip and then I changed to bobby pins as soon as I got home... I think bobby pins that match your hair color are the best bet to make it look most natural. I don't do much to switch up my hair style. I'll change the cut and slight variation on the color every so often, but as for styles, I always part my hair on the side and either straighten it or curl it or wear it in a pony tail/down/headband. This was a fun way to update my look without looking too childish (as I think a lot of braided hairstyles can look. What do you think? Have you tried the waterfall braid look? When I first got back from school, my parents and I went out for a celebratory dinner to a restaurant called Nola on the Square located in downtown Pittsburgh in Market Square. This is a new-ish restaurant that my parents had been to before and suggested that we had to go there to celebrate. They were so right! This was a fabulous place to celebrate anything. The atmosphere was lively, colorful and fun and really felt like you were in "N'awlins". They had a live band playing in the front bar area that was absolutely fantastic! They had classic Louisiana-inpsire drinks such as the Hurricane which I gave into. I went on a detox for a good two weeks where I cut alcohol and any other beverage except water from my diet completely. But, my parents convinced me to order a drink at Nola because they were so much fun and delicious! My mother and I decided to split the grilled Caesar salad as an appetizer. This is just half of the salad... the portions were HUGE! This was easily the best Caesar salad I have ever eaten. We also split the kalamata filet and it was incredible. The above pictures is half of a portion... I mean seriously we were stuffed! I like my meat cooked super rare and most restaurants won't do it or cook it wrong but this was cooked to perfection. OOTN: grey cable knit: Ralph Lauren, white pants: Ann Taylor, blue button down: Needham Lane. Last but not least, we had to order beignets to top our meal off! They were fantastic.. a little heavier than a traditional beignet, but I gave them a break because we're a little far from the real NOLA. Oh the Place's You'll Go!